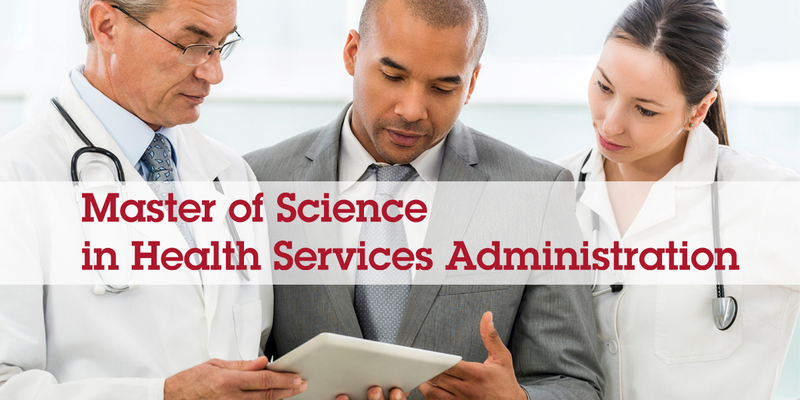 The Master of Science in Health Services Administration program (M.S./H.S.A.) 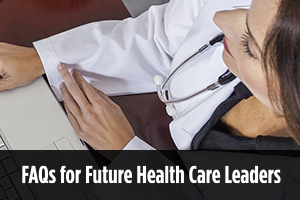 has been designed to meet the societal need for professionals in the healthcare industry to serve in a variety of leadership roles for organizations that provide health services. The program prepares students to critically evaluate and apply theory and research in all specialty areas of healthcare and administration into their daily professional work. Graduates are taught to become informed, responsible, and ethical leaders in the community. Students in the M.S./H.S.A. program are encouraged to explore the complex issues surrounding healthcare in a pluralistic society, applied ethics, and multicultural health. Students are provided with many opportunities to develop analytical and organizational skills in class and apply these skills through course assignments and internships. Specific areas of study include management, marketing, epidemiology, strategic planning, finance, and continuous quality improvement. The diversely rich student body and faculty, representing many ethnic and cultural backgrounds and communities, support the development of cultural competence. Our faculty includes members with strong academic and professional backgrounds who are dedicated to teaching, performing research, and continuing professional development. The program's faculty is accessible and supportive and strives to always be available to students outside of the classroom. The M.S./H.S.A. program offers a flexible schedule to meet the needs of working professionals as well as full-time students. In addition, we offer courses through a number of cohorts or strategic partnerships with health care organizations throughout the South Florida area. This allows students to attend classes at the main campus or at a location closer to their home or business. The average length of the program is approximately two years. Students are required to successfully complete 51 didactic credit hours and an individualized internship/practicum in a specialty area of their choice. If you've got questions about our Health Services Programs please complete this form and we will be happy to assist you.